Our commitment to world-class efficiency, versatile scalability and leading quality means we create cutting-edge technologies to find the most forward-thinking solutions possible for your world. 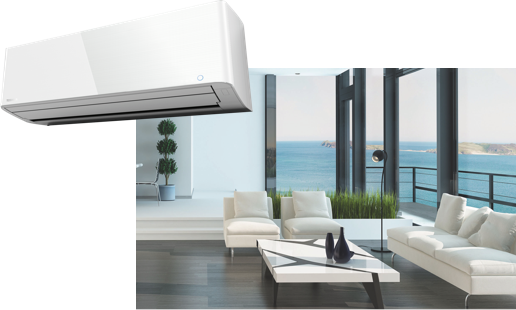 Toshiba Air Conditioning is an innovative provider of comprehensive air conditioning solutions with world-class reliability. Cutting-edge ideas are at the heart of everything we do, and always applied with the aim of preserving the planet. Now, more than ever, attitudes are changing as technology continues to revolutionize our world. That’s why the new generation of Toshiba air conditioners uses the refrigerant R32. Its global warming potential (GWP) is three times lower than that of the R410A, the perfect compromise between energy efficiency and respect for the environment. With its best-in-class COP performance, the Estía air-to-water heat pump system delivers more heating power with less energy consumption. 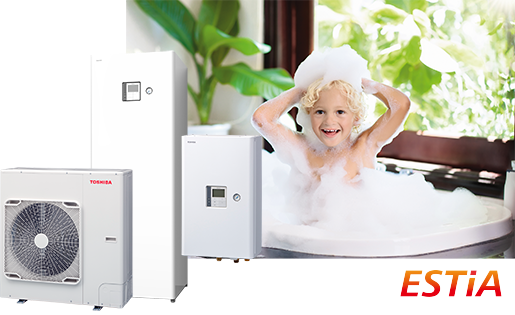 With the Toshiba advanced inverter, Estía air-to-water heat pump system only delivers the heating capacity required, thus reducing the amount of electricity used and the running costs of the heating system. 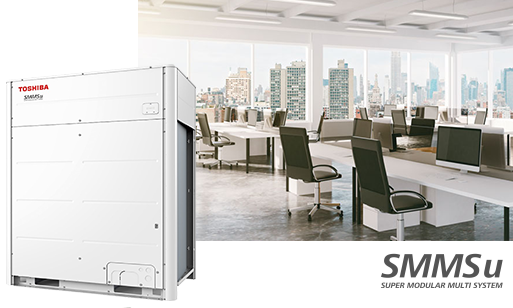 Efficient, compact and adaptable, Toshiba MiNi SMMSe combines all Toshiba VRF skills to provide high level of comfort and minimize energy consumption. MIRAI was the first affordable R32 residential monosplit system introduced on the European market in 2016 by Toshiba. A full range of R32 mono and multisplit systems is now available. 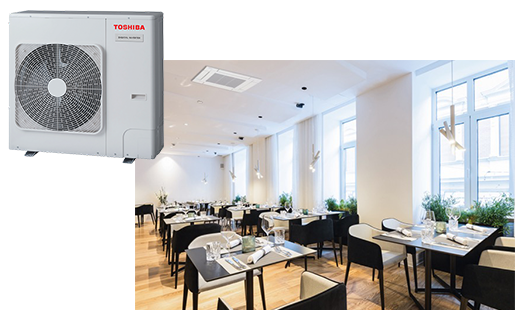 A full range of Toshiba R32 light commercial systems is available including a new R32 Super Digital Inverter with A+++ best in class efficiency.